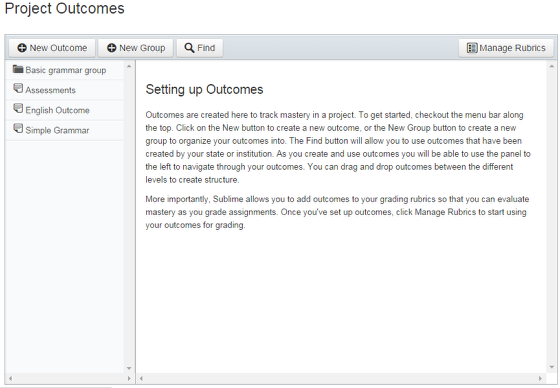 Outcome performance is recorded in Sublime LMS for each candidate and Outcome reports can be accessed by users with adequate permissions: in a project as a teacher, or in a sub-account as an administrator. After opening Outcomes, you can choose which one you want to track candidate progress on. 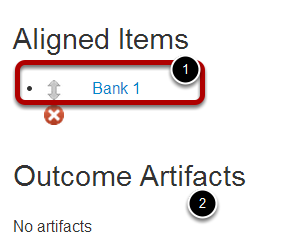 Click on the outcome title to see candidate results and artifacts. View the assessments and activities aligned to the Outcome . View the progress of individual candidates on each artifact (the aligned assessment or activity) .